The second mystery featuring Georgiana Neverall, plumber's apprentice extraordinaire. Georgiana Neverall never pictured herself knee-deep in a muddy trench building a moat-part of a state-of-the-art castle that would soon house a retired Microsoft engineer. She also never imagined being a murder suspect, but that's exactly what happens when a floater in the moat turns out to be her ex-boyfriend. 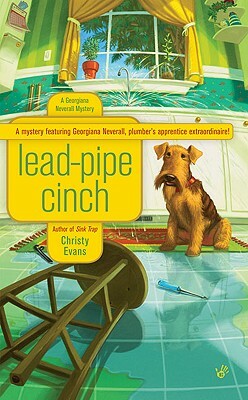 Christy Evans is the author of the Georgiana Neverall mysteries, including Drip Dead, Lead-Pipe Cinch, and Sink Trap.